You know the story. You’ve seen the movie. 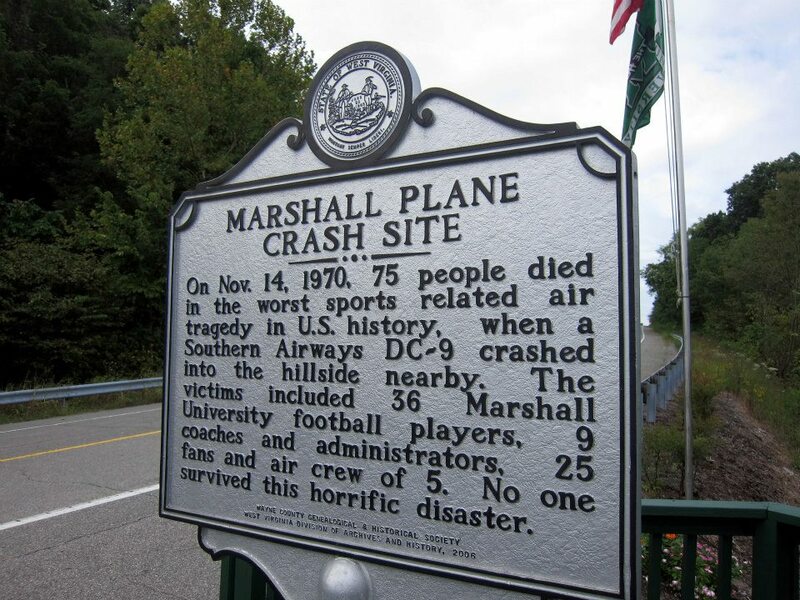 On November 14, 1970, Southern Airways Flight 932 was flying into Tri-State Airport in Huntington when it crashed into a hillside just short of the airfield. On board were 75 people; 36 members of the Marshall University Thundering Herd football team, 9 members of the coaching staff, 25 athletic boosters, and 5 crew members. The flight was returning home after a loss at East Carolina University. 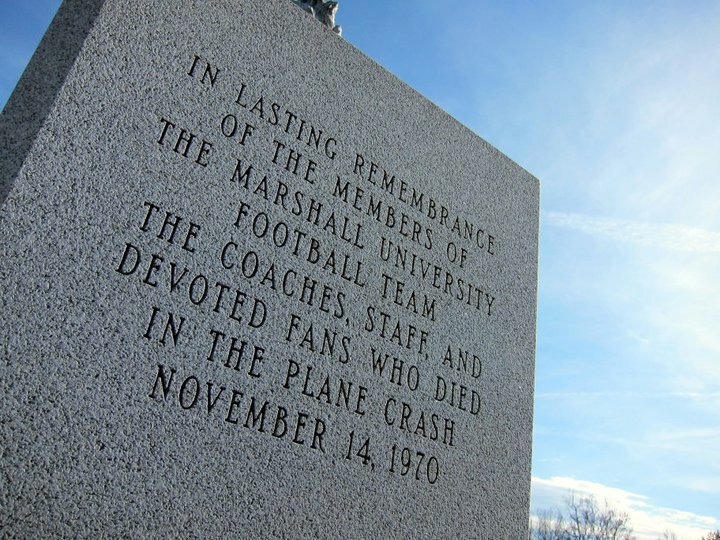 Hearing about the Marshall Univeristy plane crash was something I grew up with; my Dad is a Marshall alum and I attended there briefly as an undergrad and am currently a student at the Marshall University Graduate College. I grew up living and breathing Marshall and will forever be a fan of the school. I was also on campus in the spring of 2006 when they filmed We Are Marshall, which was a once in a lifetime experience. From painting the Student Center a foul shade of yellow to depict the 1970s decor to camping outside of the Campus Christian Center in hopes of a McConaughey sighting, I was there. I also remember waking at 7:30 in the morning when they filmed the “We Are…Marshall” chant outside of Morrow Library. I will forever kick myself for not getting out of bed at 4:00 a.m. to be an extra in that scene. Watching it still gives me chills. But the true story is much more than a Hollywood production. It’s about a community that experienced such a tragedy, such devastation; yet a community that came together and rebuilt, regrouped, and revived its spirit. It’s about joining with others and remembering those individuals whose lives were lost 43 years ago. The plane crash forever altered West Virginia’s Tri-State region and through our memories, our monuments, and our moments of silence, those individuals will live on in our hearts forever. 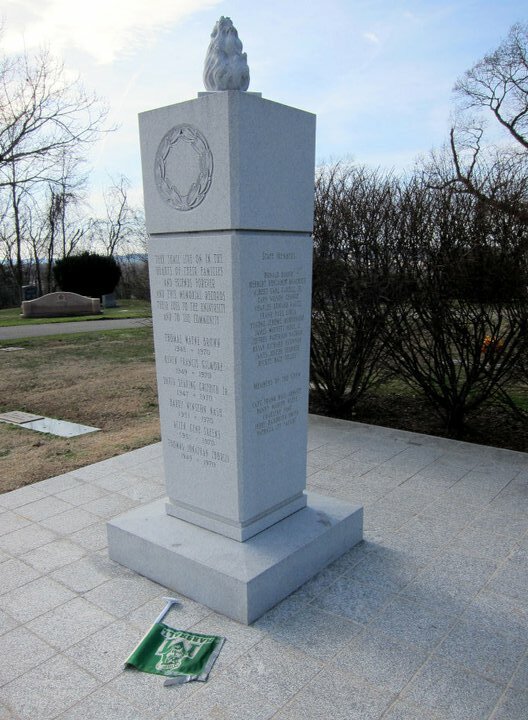 If you happen to find yourself in the Huntington area or are planning a trip soon and would like to see some of the monuments honoring the crash victims, there are three that are a must-see. The first is the location of the actual plane crash site. Located off US 52 / CR 75 in Wayne County is a historical marker depicting the location of the plane crash. 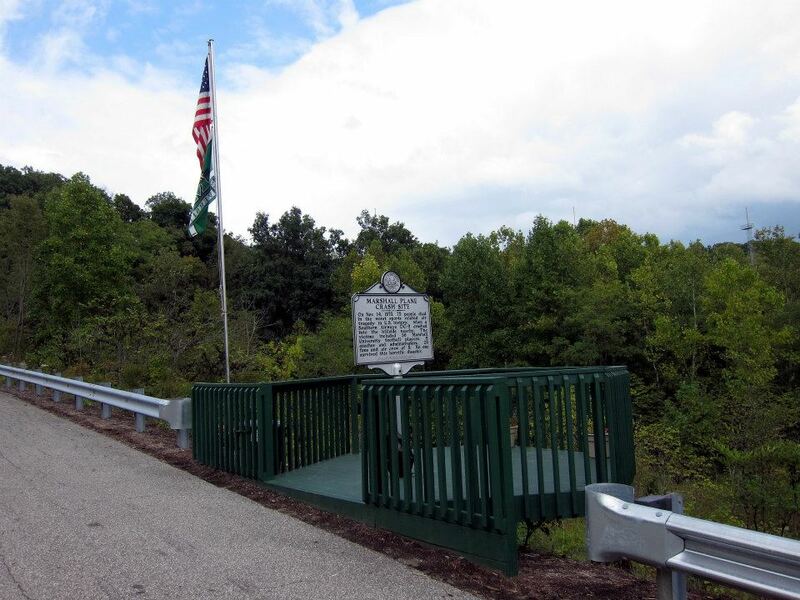 In addition to the marker, there is a flag pole with a United States of America and Marshall University flag as well as a deck with benches. 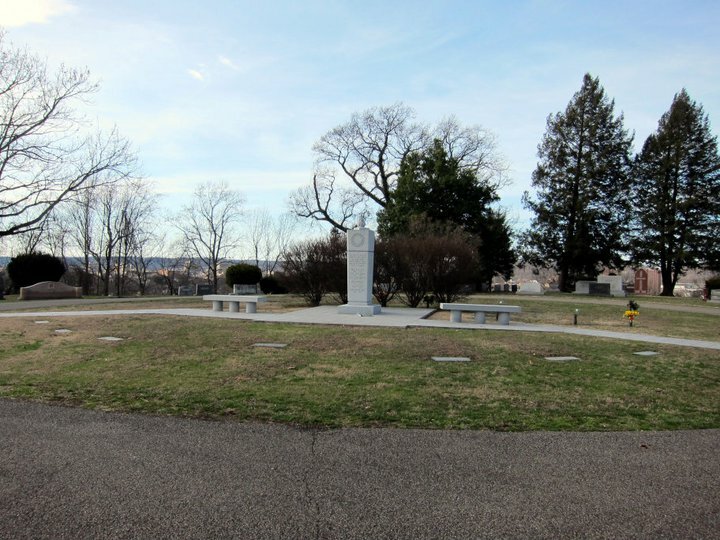 Second is the memorial at Spring Hill Cemetery in Huntington, which is the final resting place for six crash victims whose remains could not be identified. Here, the graves overlook campus and 20th street with an eerie silence around them. This is also the location of Matthew McConaughey’s infamous speech toward the end of We Are Marshall. 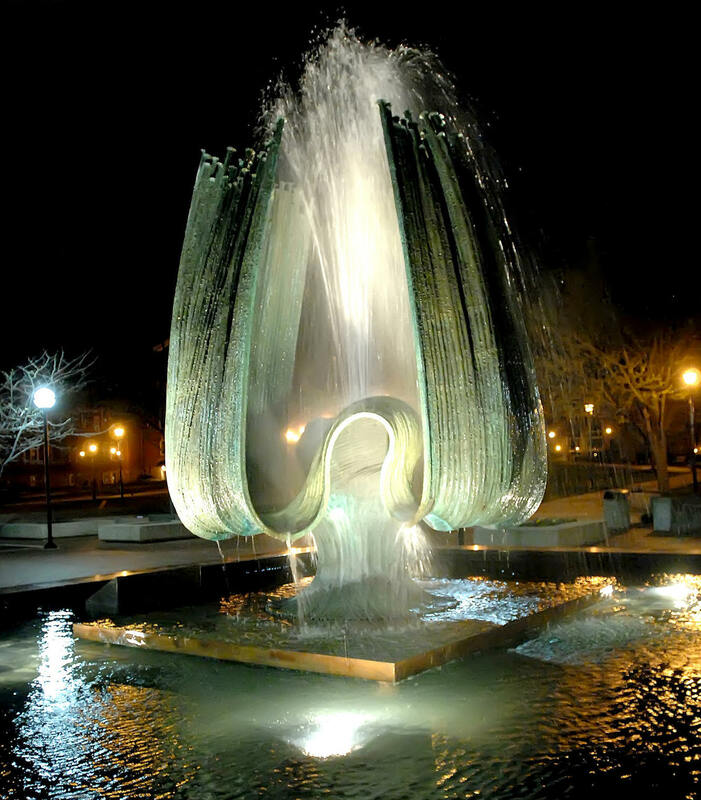 The final memorial location that you must see is of course the Memorial Student Center Fountain on the Huntington campus. Dedicated on November 12, 1972, the fountain bears a plaque that reads “They shall live on in the hearts of their families and friends forever, and this memorial records their loss to the university and to the community.” Each year on November 14, a memorial service is held that includes the traditional laying of the wreath. The water is also turned off until the following spring. For more information on the Marshall University plane crash and a list of victims, please visit Marshall University’s website.